Endemic to southeastern USA, from Virginia to eastern Texas in the Atlantic and Gulf Coastal Plains. The total population is still large but is decreasing and has become severely fragmented. Pinus palustris grows mostly in the warm temperate to subtropical coastal plain of the SE United States, but it extends into the uplands and foothills of the southern Appalachian Mountains to about 700 metre above sea-level. It requires a warm, humid climate and a moist soil, although the latter can vary from wet, poorly drained clay in swampland to thin stony soils on rocky mountain slopes and ridges. For the most part soils are sandy, acidic and poor in nutrients. This species can grow in pure stands but is often found together with other pines, like P. elliottii, P. echinata and P. taeda. 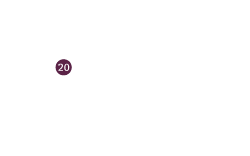 Many broad-leaved trees (angiosperms) grow with it, too, forming mixed forests on mesic sites with e.g. Quercus spp., Nyssa sylvatica, Liquidambar styraciflua, Cornus florida, Sassafras albidum, and Diospyros virginiana and many shrubs. In the foothills in Alabama many oaks (Quercus spp.) accompany Pinus palustris, forming mixed pine-oak woods. This species of pine is well adapted to fires through its grass stage and succeeds quickly from seed to take advantage of freed space and nutrients, while it can survive the next ground fire by resprouting from the very short stem until it has built enough of a root system to accelerate its stem growth dramatically and rise above the damaging flames. Outside protected areas the tendency through exploitation and planting or seeding of other pine species to replace this species is still ongoing, albeit at a lower rate than previously. Calculated over the whole of the historical period of logging in eastern USA this species would qualify for Critically Endangered, but with an estimate of 30 years for a mature tree the time frame here used is more likely to place it as Endangered. The decline has also slowed down, but has not ceased. 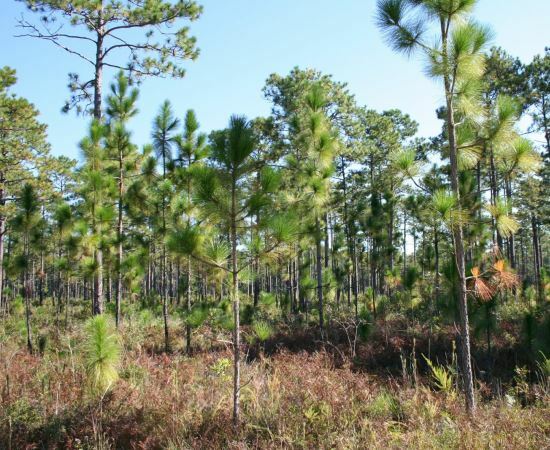 Pinus palustris was once the most common pine in the Coastal Plains, perhaps covering 25 million ha. Exploitation for timber and naval stores and conversion to farmland and pasture reduced this by 1985 to less than 1.6 million ha. An estimate given by Gilliam & Platt (2006) arrived at a reduction from 12 million ha in 1950 to 5 million ha in 2000. This decline, although its rate has now slowed, is ongoing. Foresters and landowners prefer other species that do not delay initial growth with a grass stage and many sites originally occupied by P. palustris are now dominated by other species. 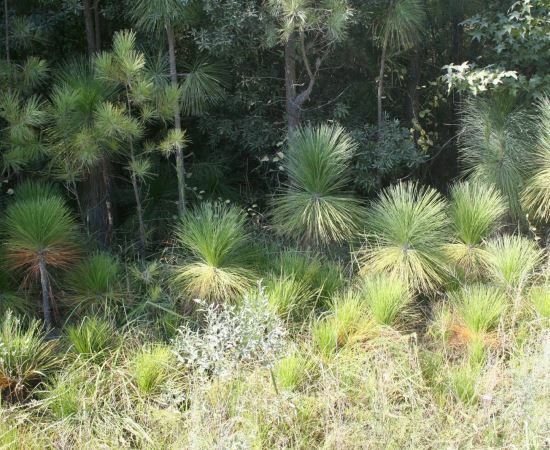 Prevention of fires increases competition from herbs and shrubs as well as other pines, as the seedlings of P. palustris do not initially grow in height, unlike other pines common on the Coastal Plains. Farjon, A. (2013). Pinus palustris. In: IUCN 2013. IUCN Red List of Threatened Species. Version 2013.1. <www.iucnredlist.org>. Downloaded on 13 July 2013. Gilliam, F. S. & W. J. Platt. (2006). Conservation and restoration of the Pinus palustris ecosystem. Appl. Veg. Sci. 9: 7-10. Oswalt, C. M., J. A. Cooper, D. G. Brockway, H. W. Brooks, J. L. Walker, K. F. Connor, S. N. Oswalt, and R. C. Conner. 2012. 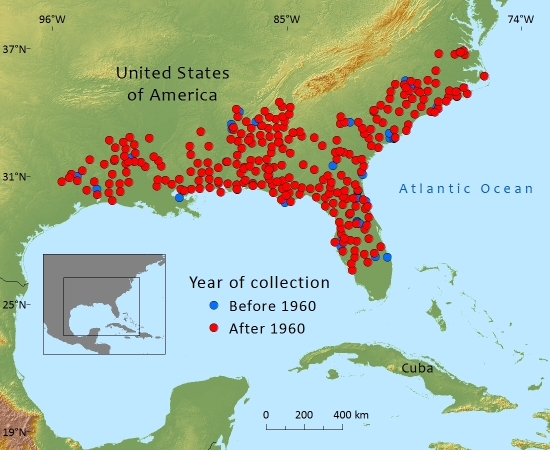 “History and Current Condition of Longleaf Pine in the Southern United States.” USDA Forest Service General Technical Report SRS-1666. 51pp. P.Thomas,and A.Farjon, 2016. Pinus palustris, from the website, Threatened Conifers of The World (http://threatenedconifers.rbge.org.uk/taxa/details/913).